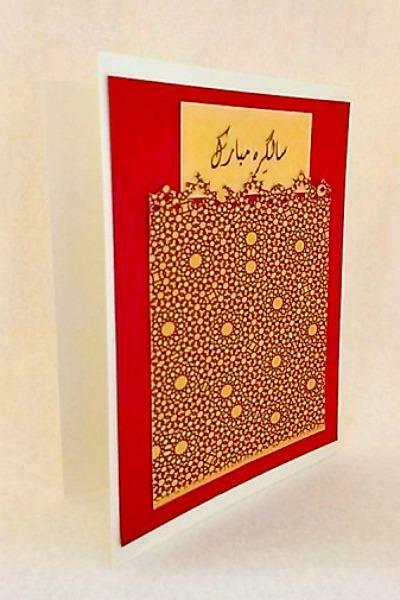 This is an Urdu bright birthday card with several nice details. 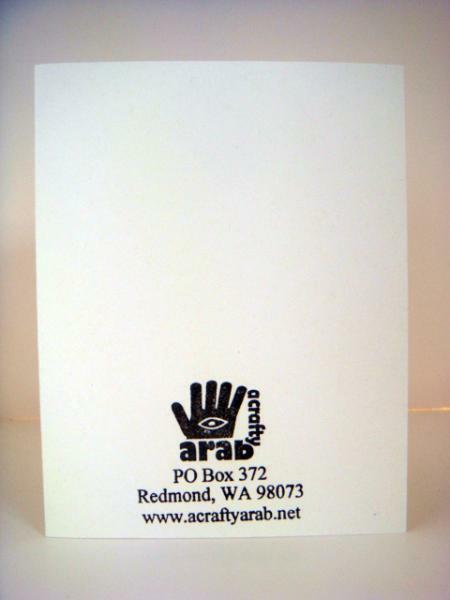 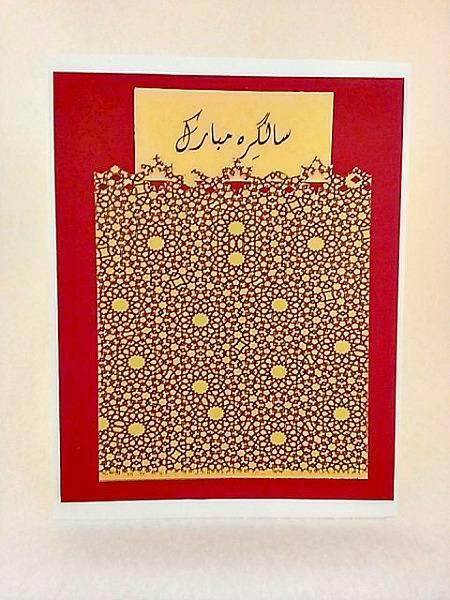 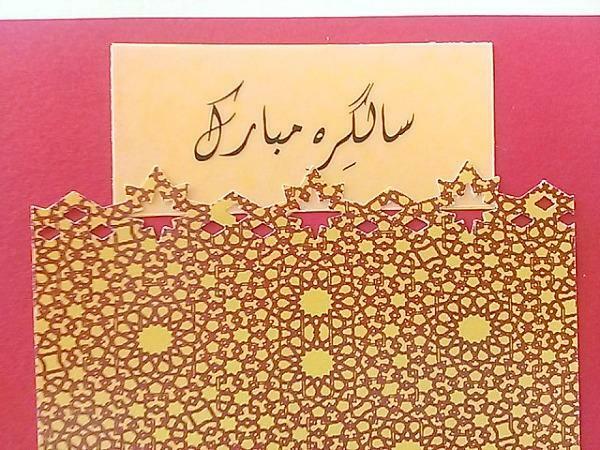 Salgirah mubarak sentiments were placed on vellum and added to yellow cardstock, layered on a maroon background. 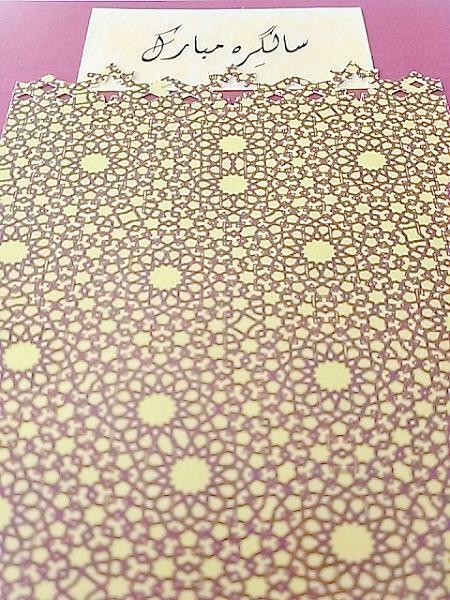 The geometric yellow and maroon paper had a geometric design punched out before it was added on top.